Picture it. An outdoor barbecue with all of your neighbors. Watching the sunset with your closest friends. Enjoying an evening outdoors with your family. 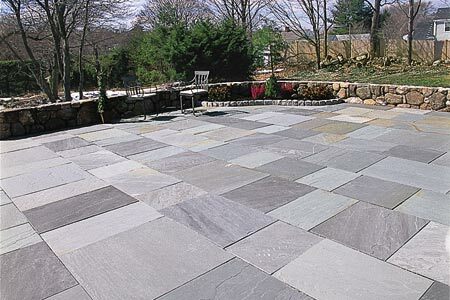 You can have all this and more once you begin the exciting journey of patio selection and installation. A patio can be one of the most valuable and least expensive ways to upgrade your outer home appearance. 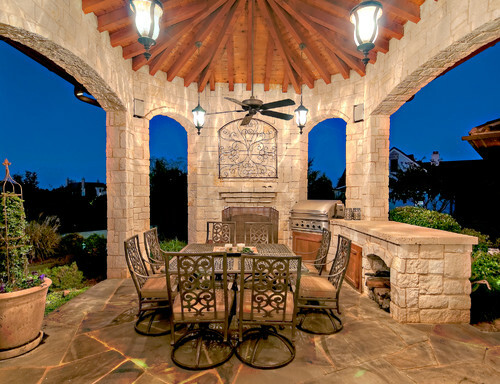 With over 25 years in stone patio construction, we’re passionate about patio design and installation. The process begins with stone selection. There are many options available, so no matter what you’re thinking, we’ve got the design team to help make that concept into a reality. We’re especially experienced durable and elegant stone patio solutions that you’ll be excited to use for many years after your installation. The finished product will be an ideal place to relax and spend time with your family in addition to a significant upgrade to your home. The appeal of the stone patio goes far beyond your use, too, as the new patio will serve as an asset if you ever choose to sell your home. 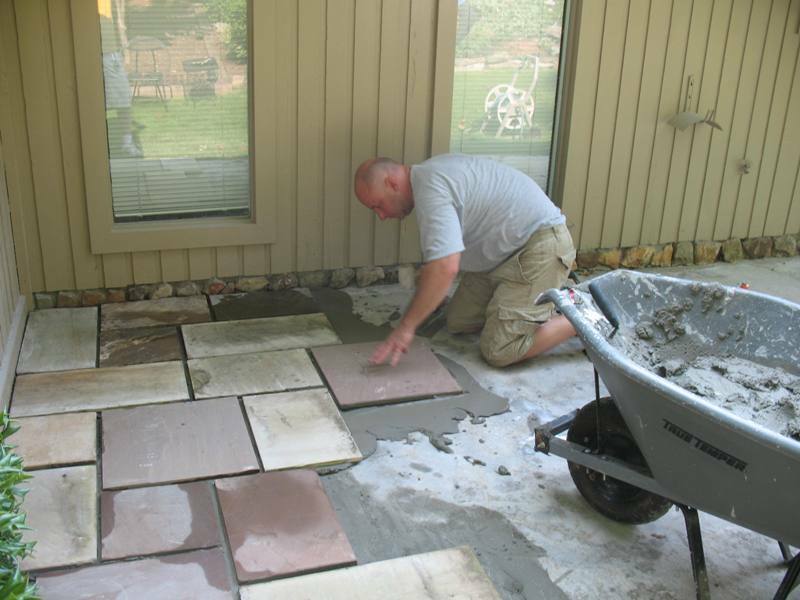 One of the best benefits to a stone patio is the ease of maintenance. 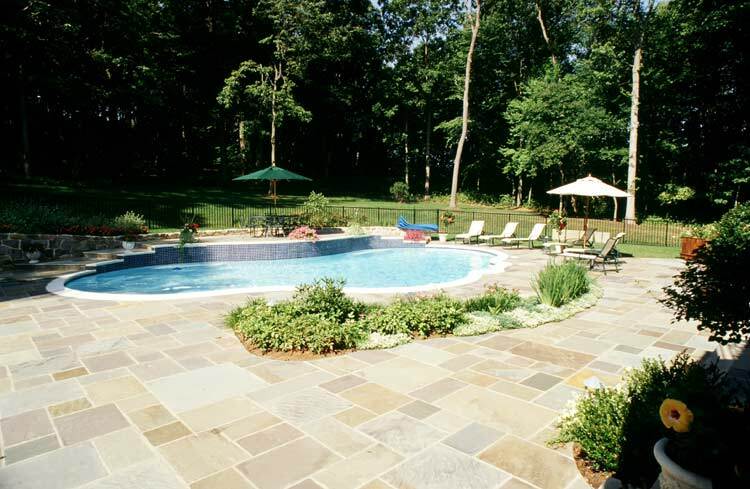 At Northern VA Patios & Construction, we offer numerous selections for a completely unique and customizable stone patio. You can choose from river rock, paver stones, flagstone, cobblestone, or naturally jagged shaped stones. Not sure where to start? No worries. 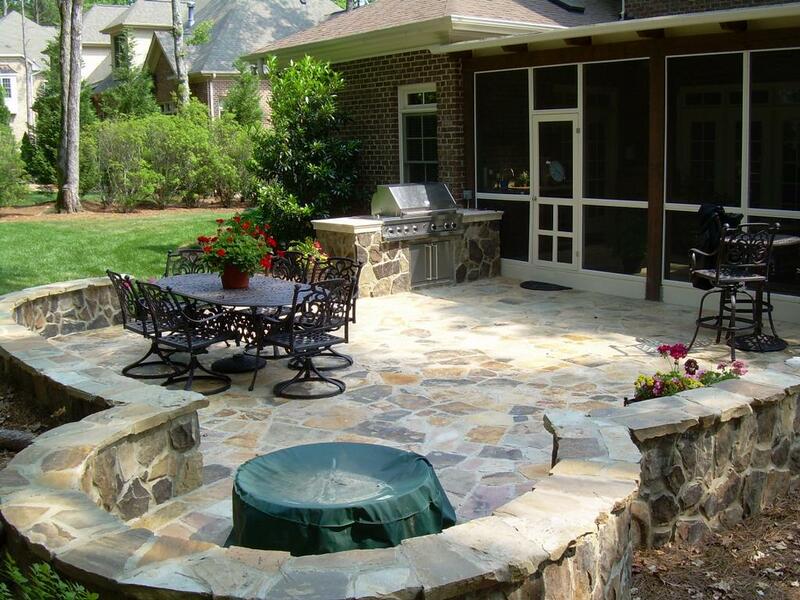 Our experienced staff of exterior landscape designers and hardscape contractors will create patio concepts for you. From there, custom select styles, shapes, and sizes of everything we’ll need to put your patio in place. Our expert opinion on stone patio design and installation will guarantee that you’ve selected the best concept for you and your family. 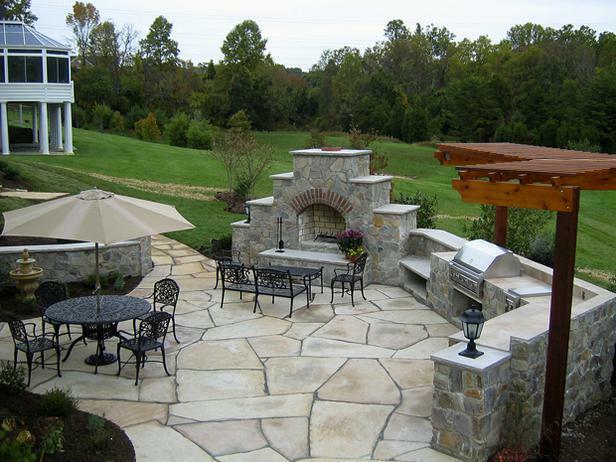 Northern VA Patios & Construction offers services for homes in Fairfax County, Loudoun County, Great Falls, McLean, and McLaren, but we also provide assistance to homeowners throughout Maryland and D.C. To learn more about our services and to get started on your redesign or installation project, contact us today!